£5 Per sq ft excl. open plan with multiple electric roller shutter doors and separate loading bay. separate loading bay with roller shutter door, suspended ceiling and painted concrete floor. 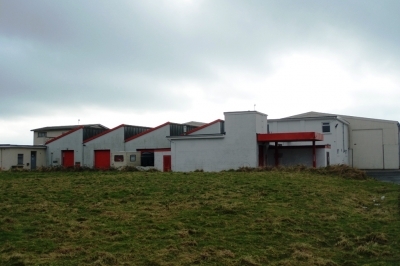 Barrule House - Well positioned industrial premises with offices. Approx 7,621 sq ft in total. Rental from only £5.00 per sq ft.
Offers may be considered for separating the property into smaller units.